Lyra is available for adoption! I'm at the Rabbit Adoption Center! Visit me! This poor girl was involved in a hoarding case in southern Indiana. Lyra is cautious but starting to decide that foster care isn't too bad! She is curious about other bunnies and becoming more brave with people. She is a bit overweight but otherwise had a good health check at the vet. Will you be this beautiful soft girl's forever family? 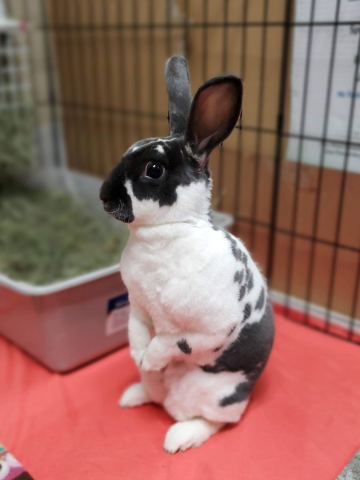 Interested in adopting this rabbit? Please begin the adoption process by filling out our online adoption questionnaire. You can still help by donating your time or money to help all our foster rabbits! © 2019 Indiana House Rabbits Society. All Rights Reserved.